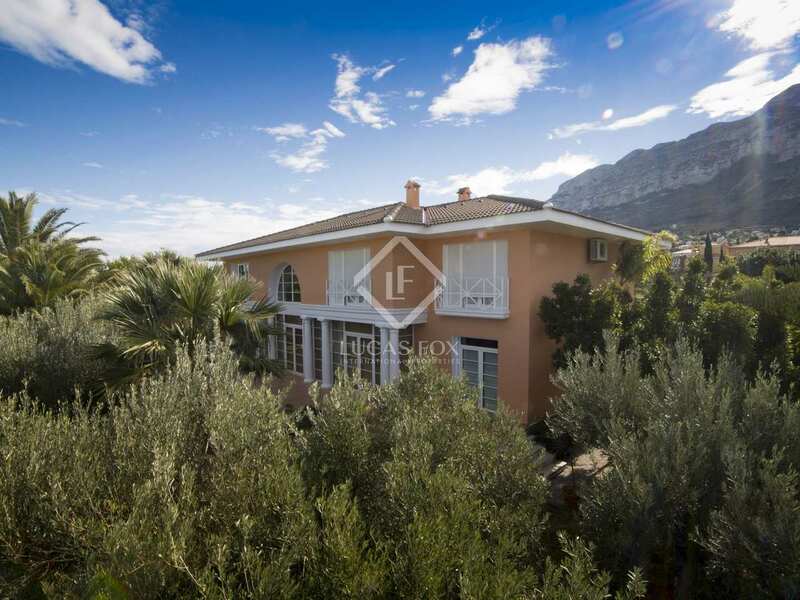 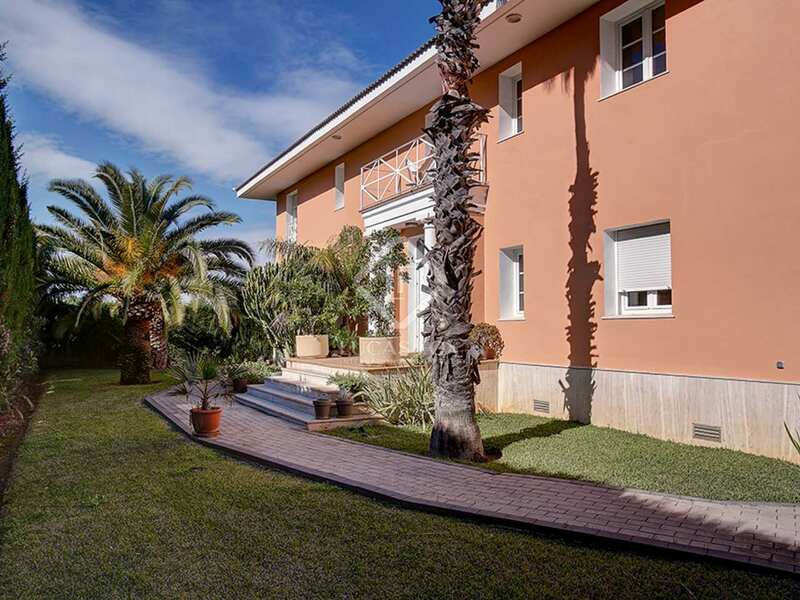 Spectacular neoclassical villa with a beautiful garden, pool and barbecue as well as a garage and views of the sea and Montgó. 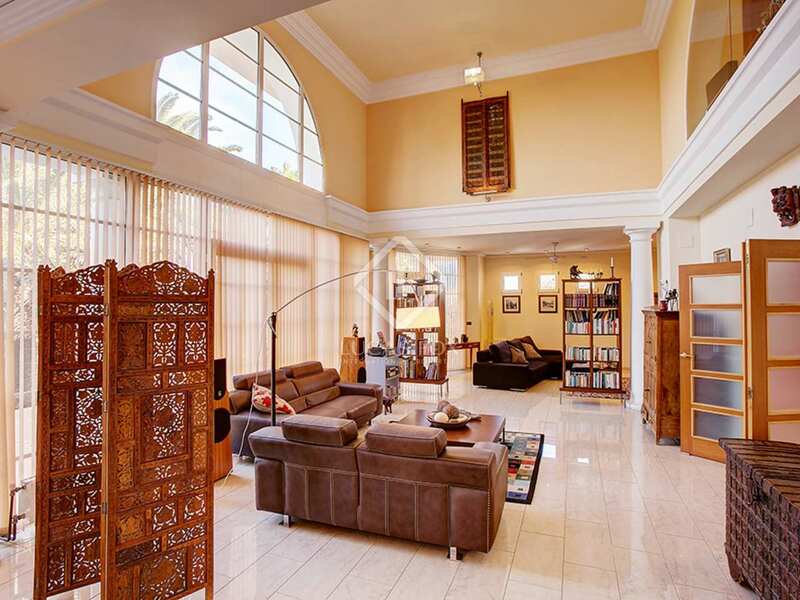 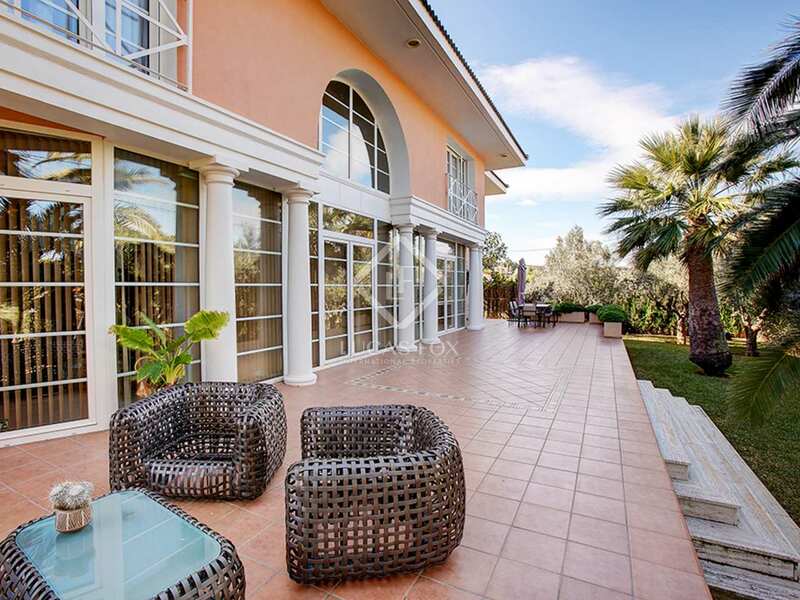 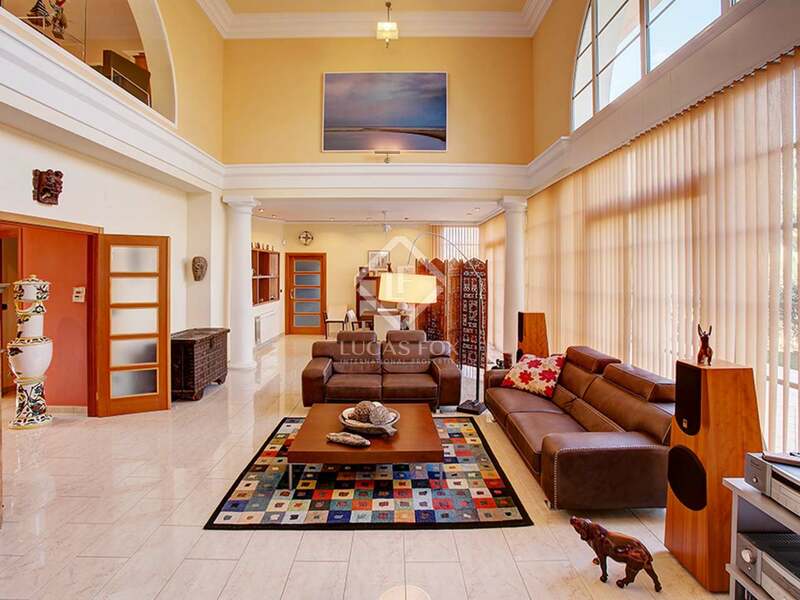 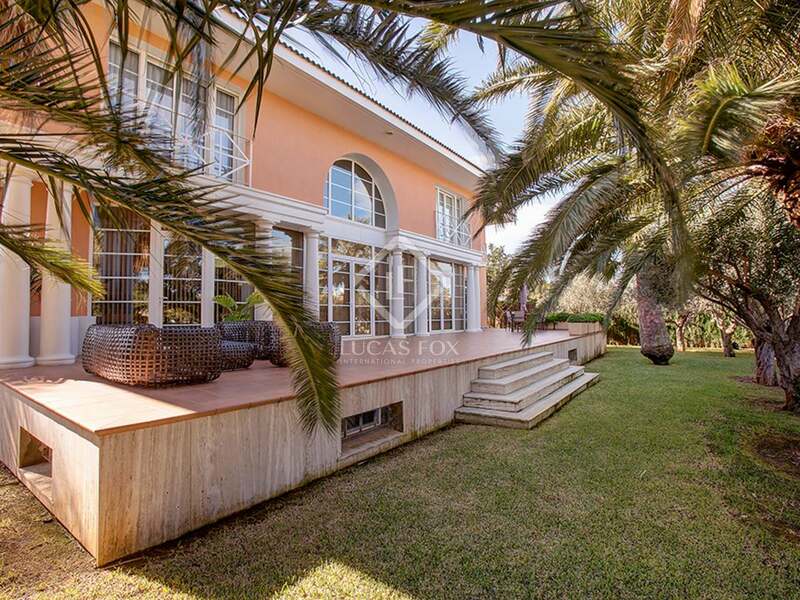 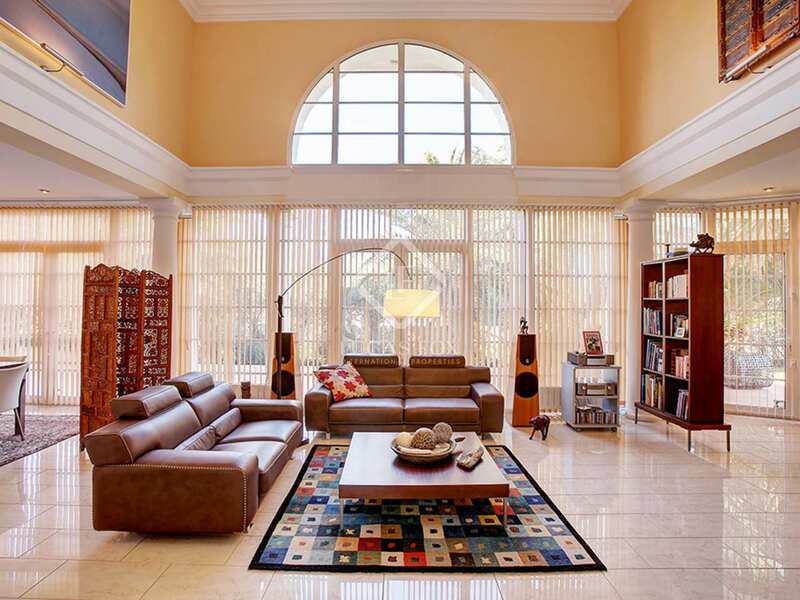 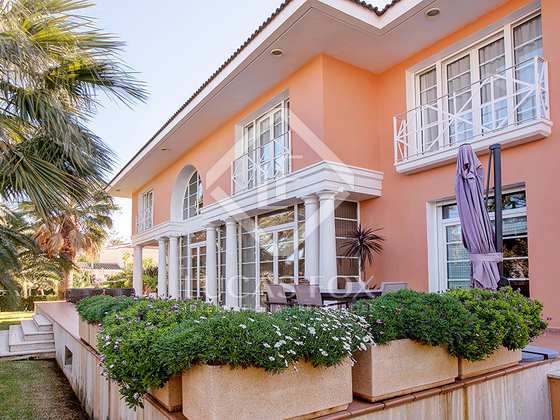 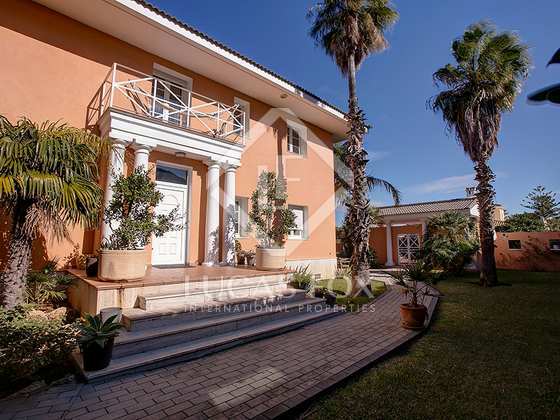 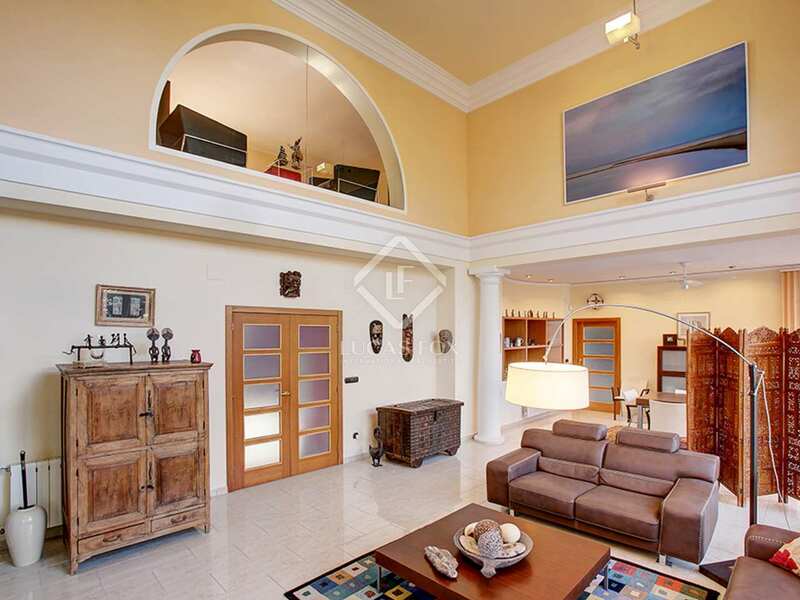 This beautiful neoclassical villa is for sale in Denia. 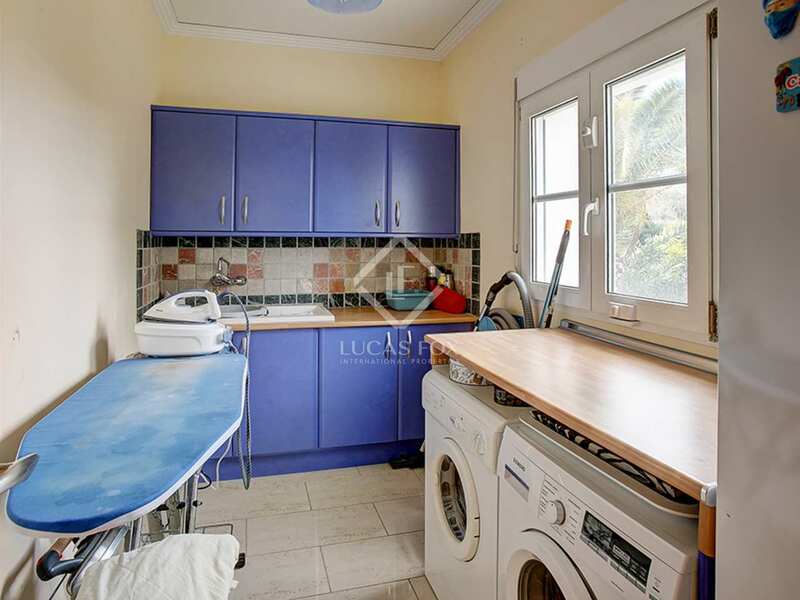 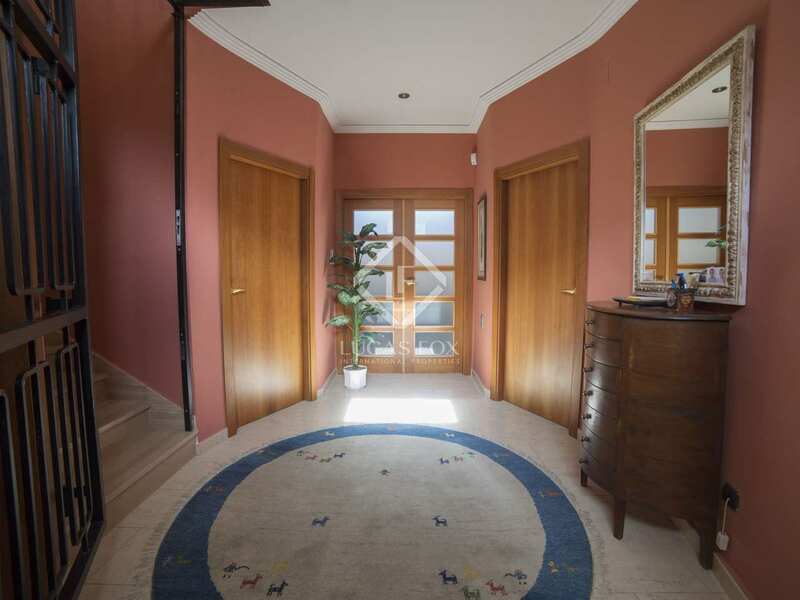 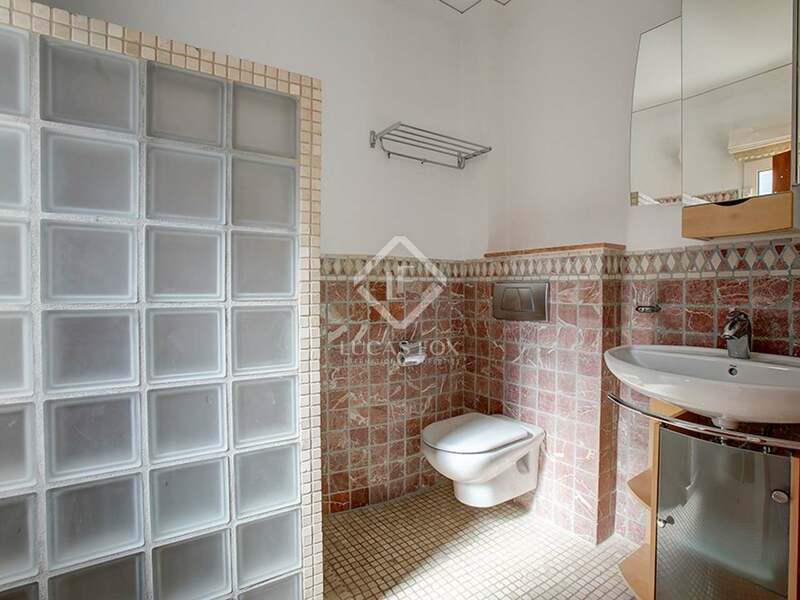 Built in the year 2000, it is in good condition, with 586 m² distributed over 2 floors plus a basement. 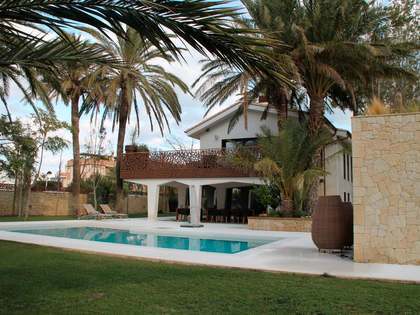 The villa is surrounded by beautiful landscaped gardens with palm trees. 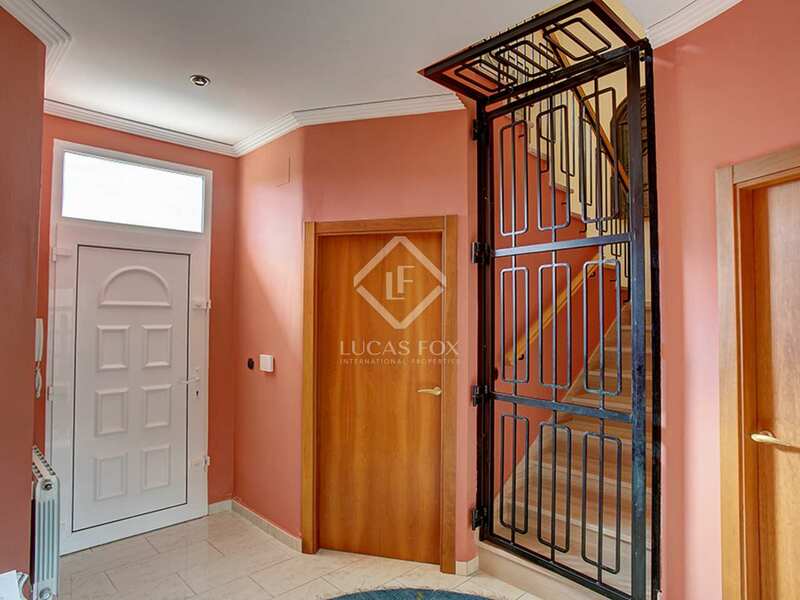 We access the property at the rear, where there is a large paved area with a pergola for 2 parking spaces, a ramp that leads to the basement of the house and, on the left, an independent annex where there is the pool and barbecue area, with an outside shower To the right we find a large porch with direct access from the living room and the kitchen. 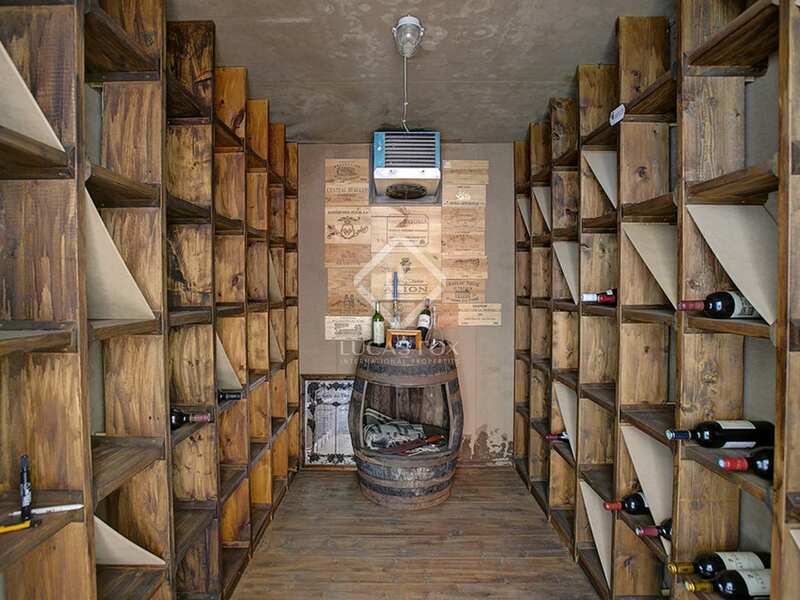 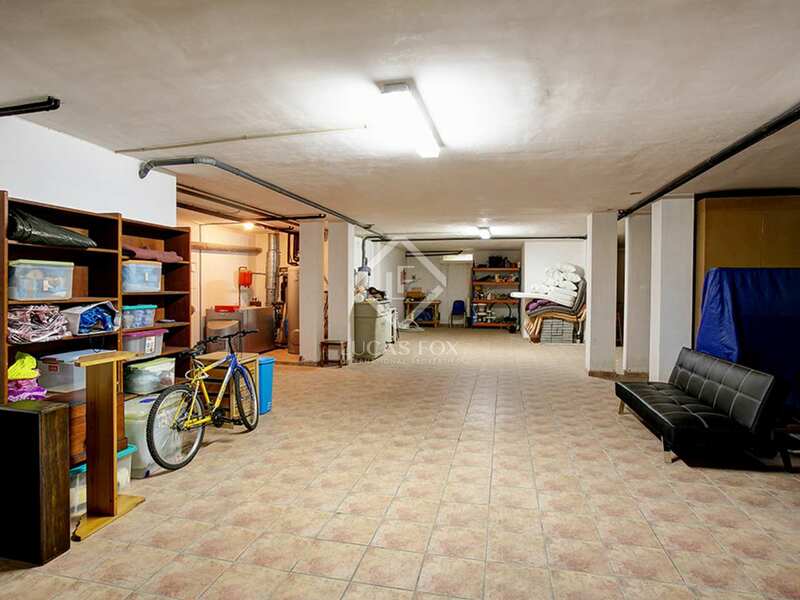 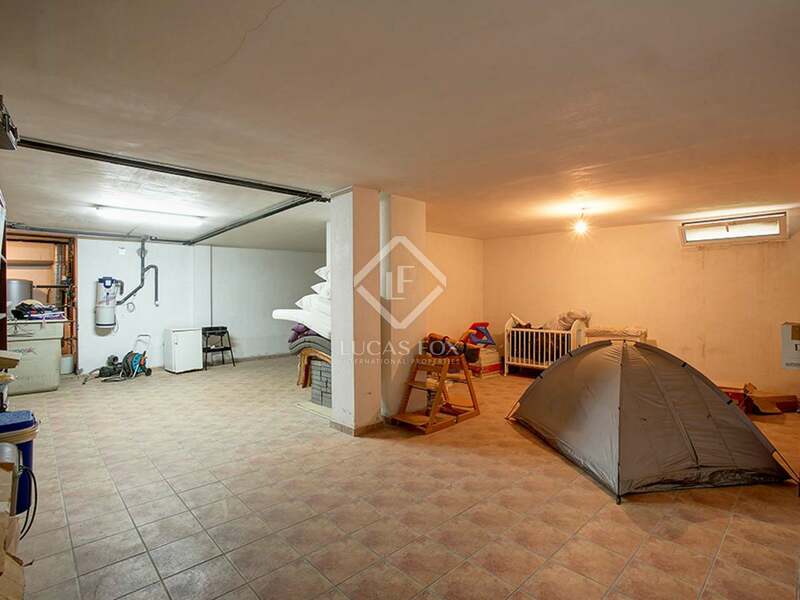 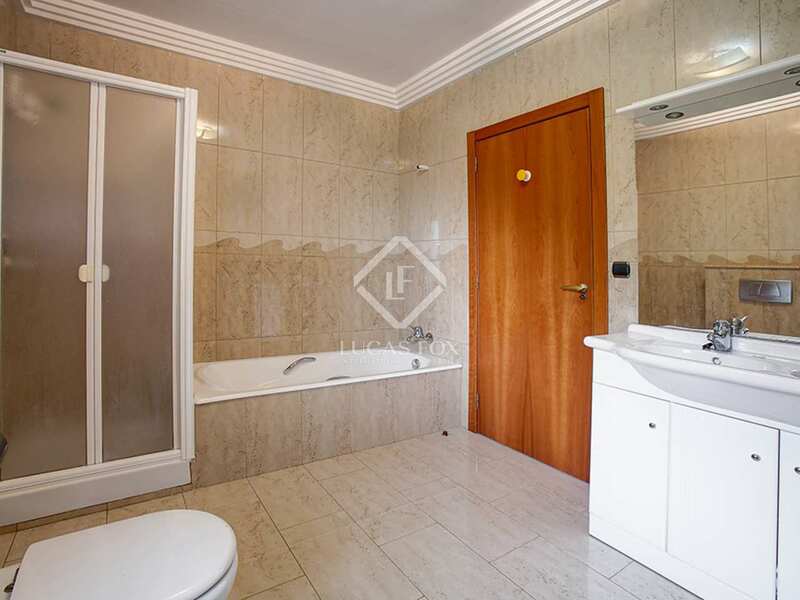 In the basement, which measures 214.20 m², there is a garage with a climate controlled cellar and a room that can be used for a gym or as desired. 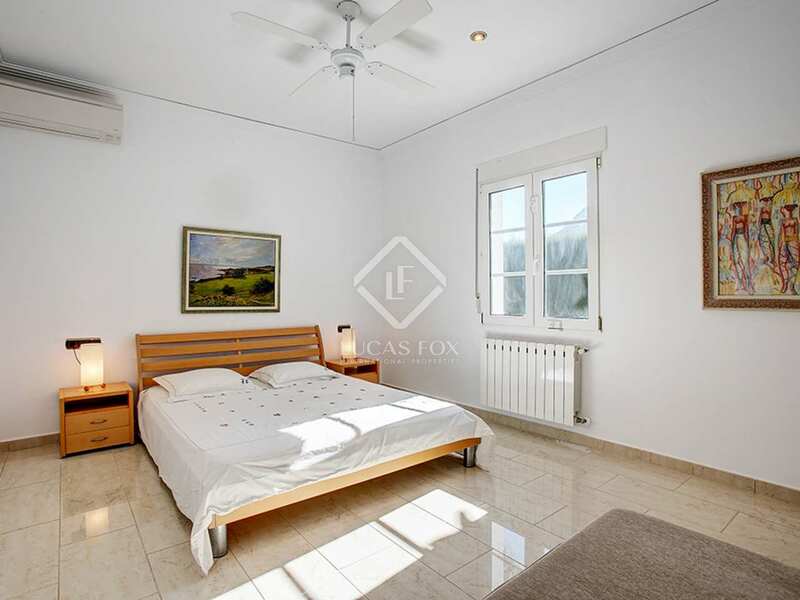 The ground floor, of 201.80 m², offers a living area of 4 rooms with a fireplace, a separate kitchen, a storage room, 2 bedrooms and 2 bathrooms, one for guests and the other private one for one of the bedrooms. 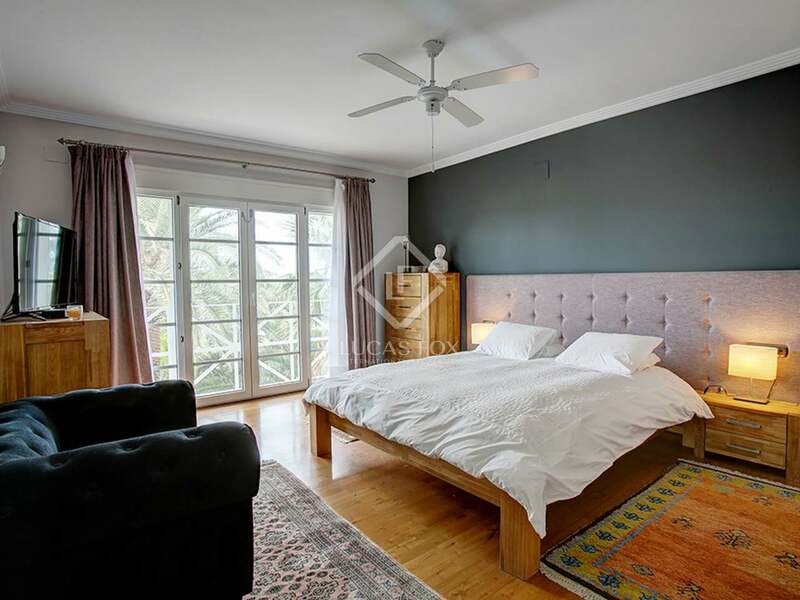 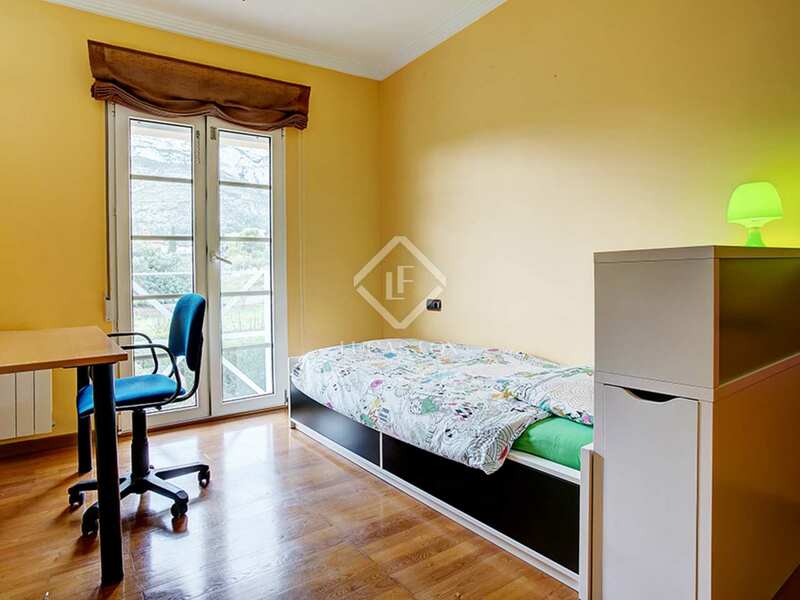 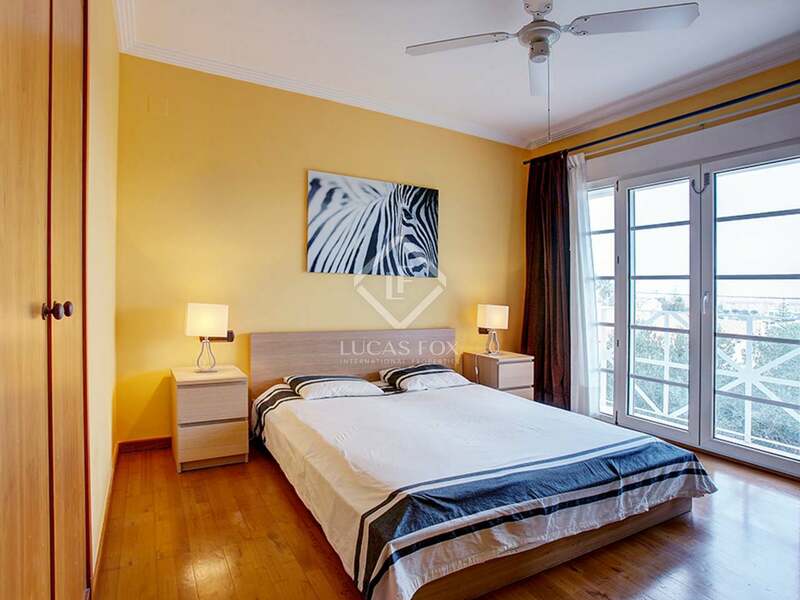 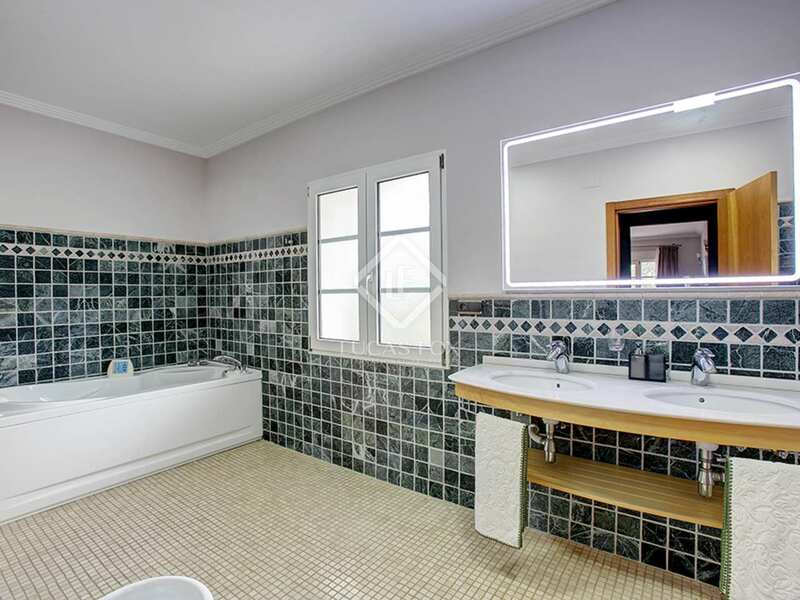 The first floor (170.80 m²) has 3 bedrooms that share a bathroom with bath and shower, and the master bedroom, which is located in an independent wing and has a dressing room and private bathroom. 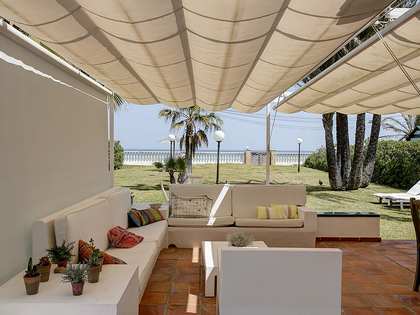 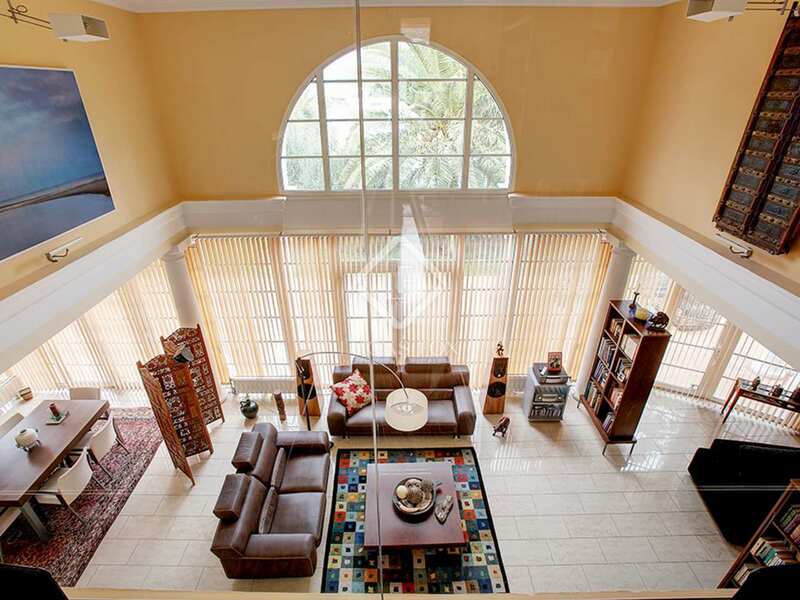 The house has a well planned orientation that guarantees sunlight all day and that in summer it is not too hot. 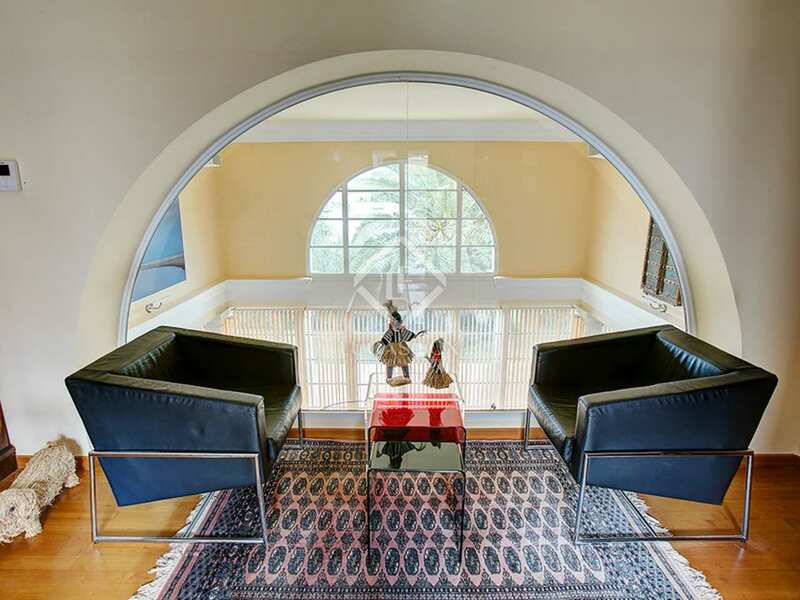 The living area facces north with views of the castle and the leisure area faces south and offers views of Montgó. 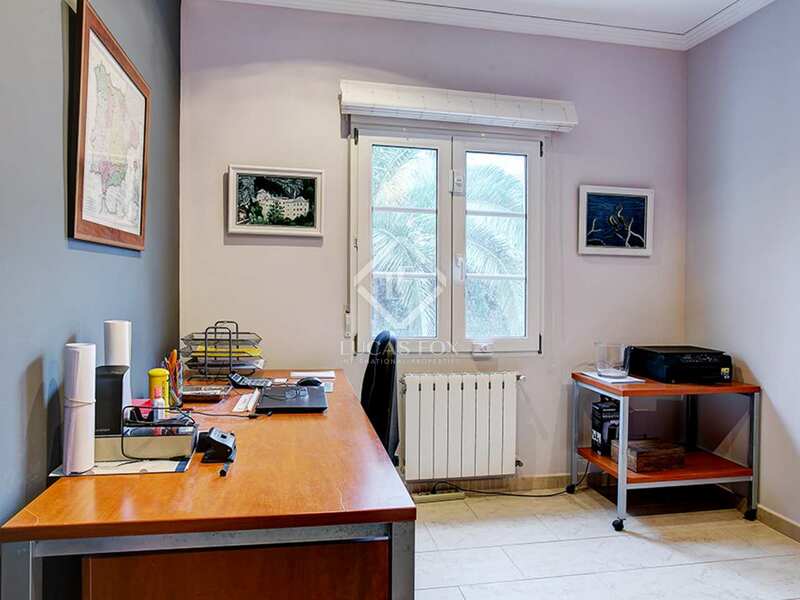 From the top floor you can enjoy beautiful views of Montgó and the sea. 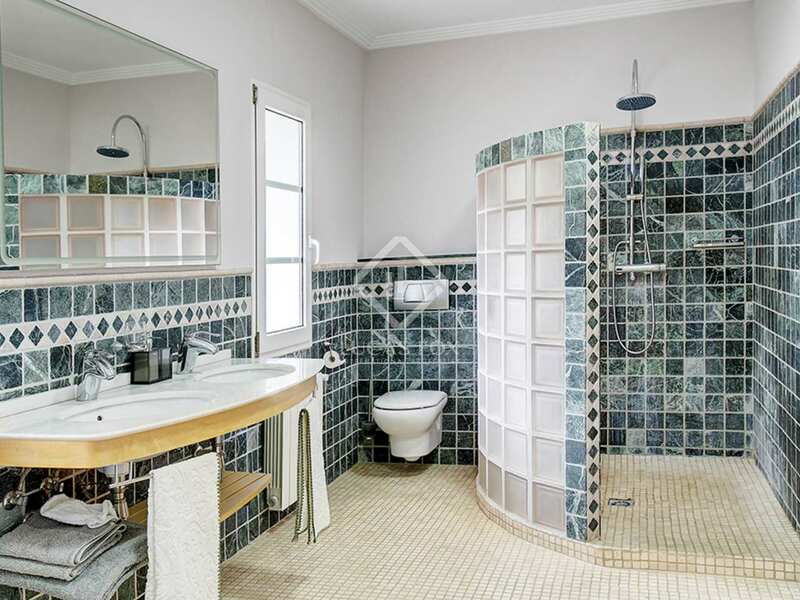 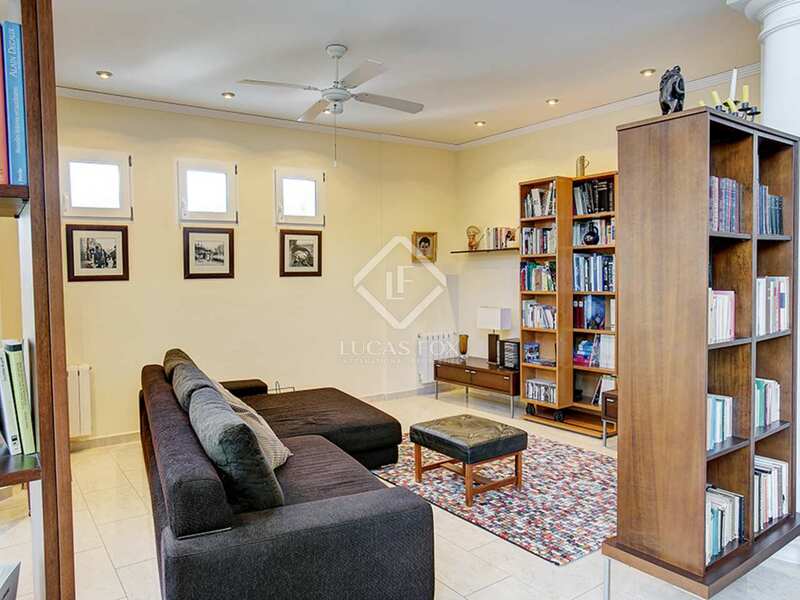 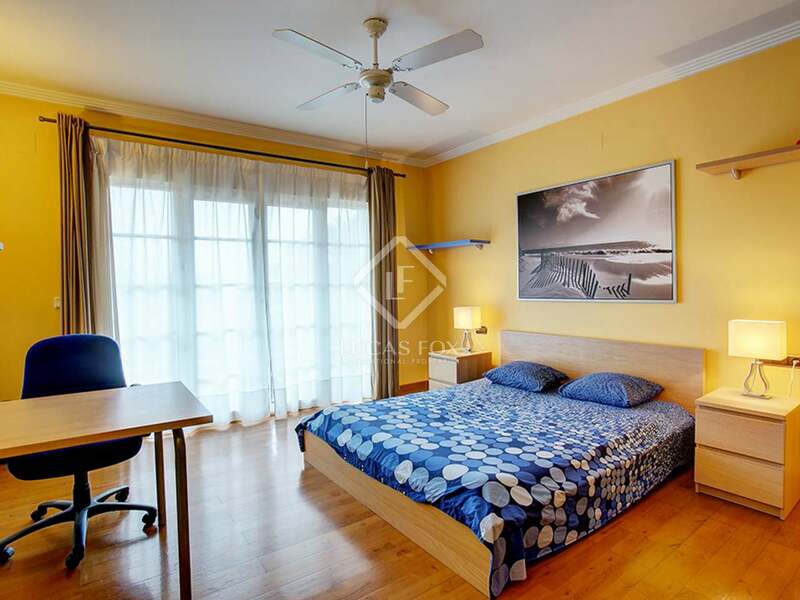 In addition, it has built-in closets, central heating, secure double glazing, electric shutters, panic door at the entrance, glazed ceramic tile floors throughout the house and marble in the bathrooms. 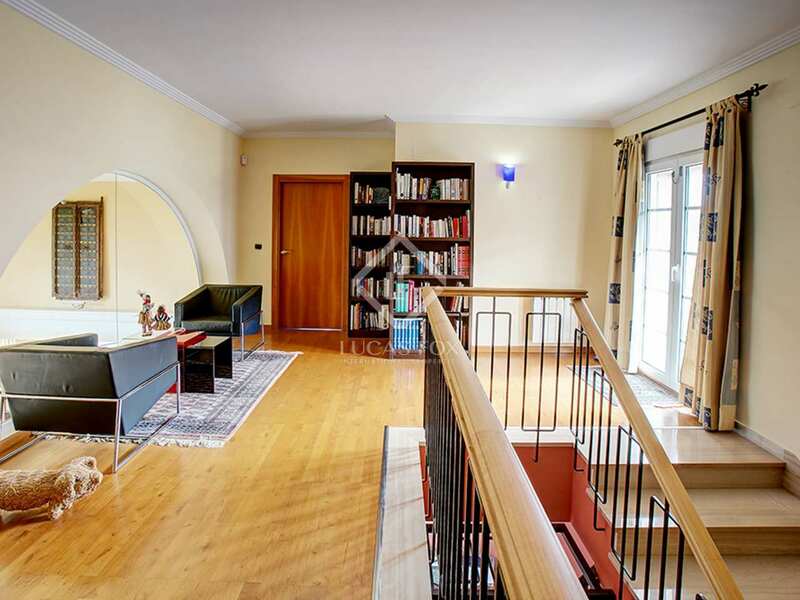 In the library there is cherry wood flooring. 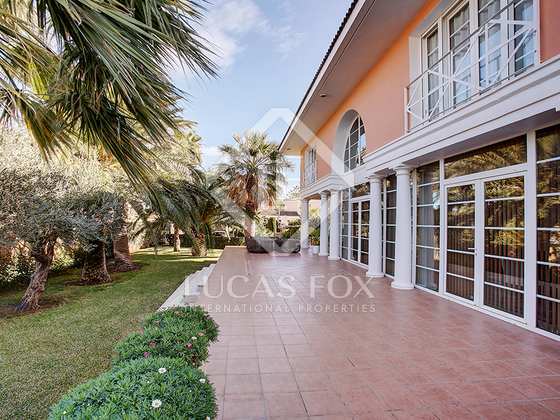 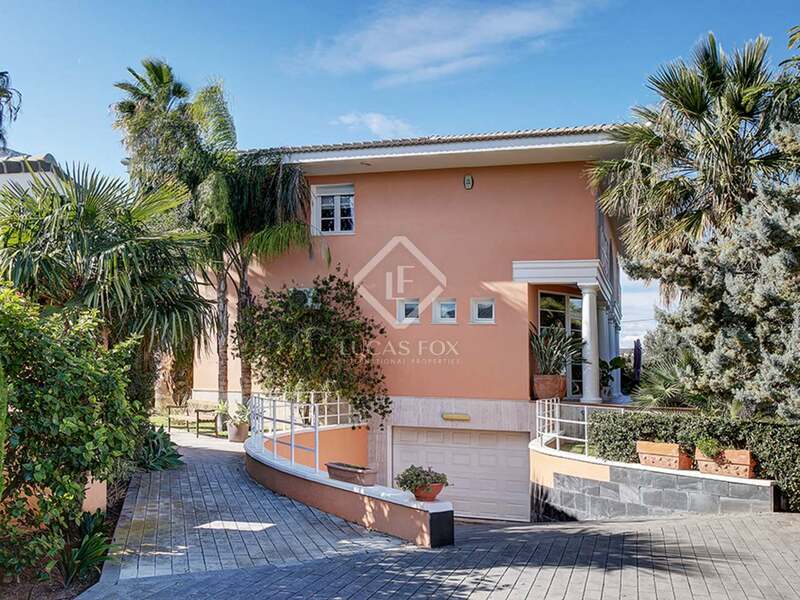 This spectacular villa would be ideal for families or as a second residence thanks to its location close to all services. 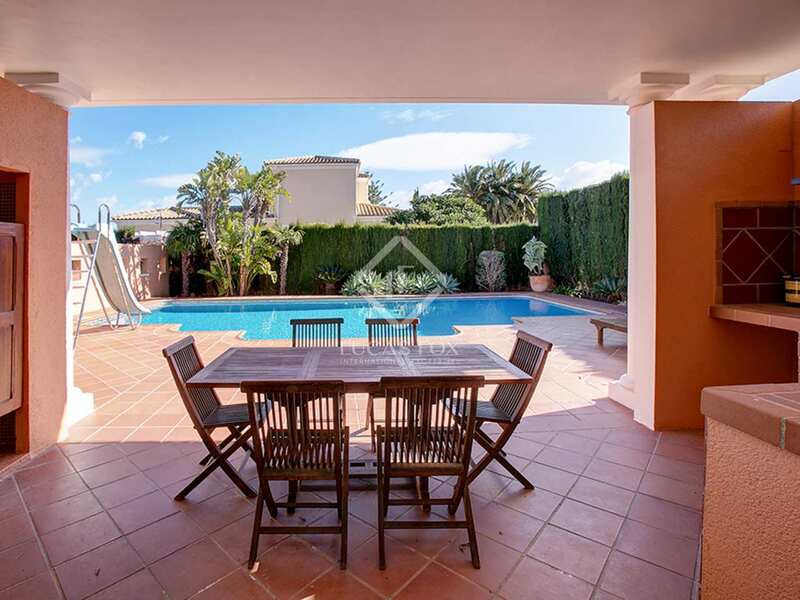 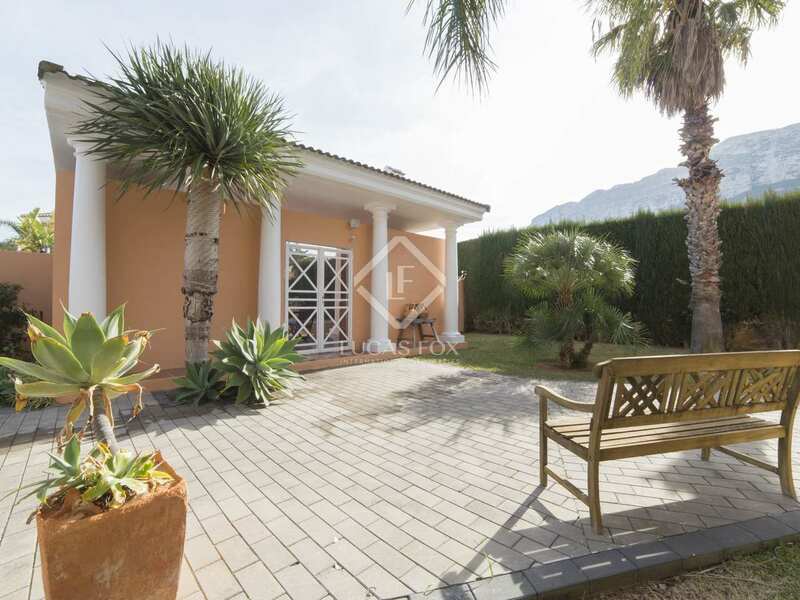 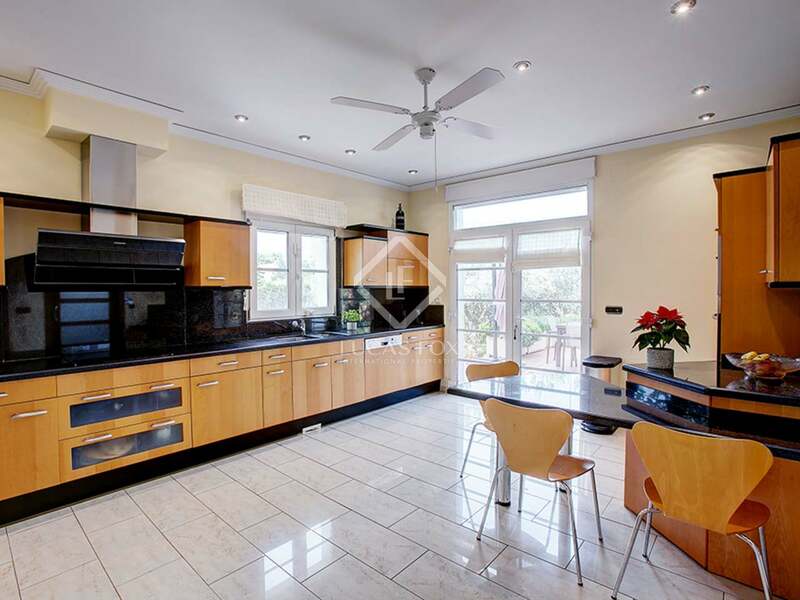 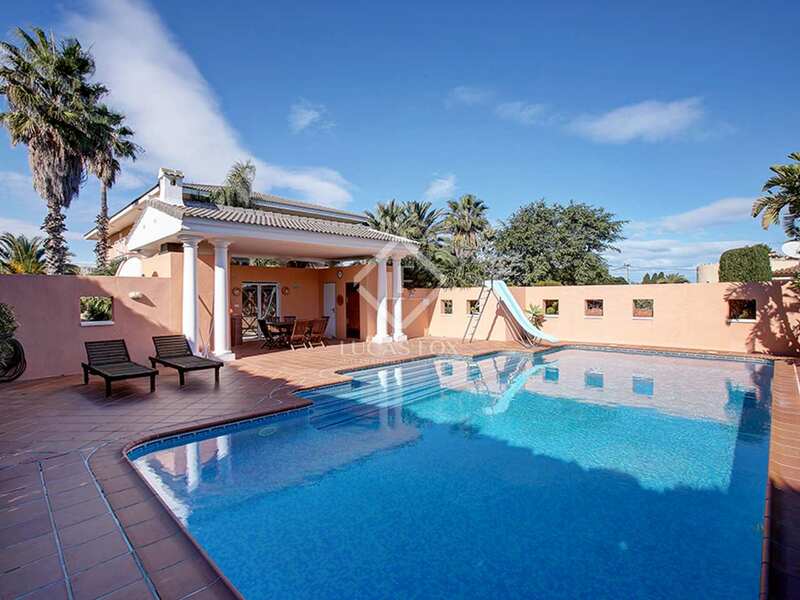 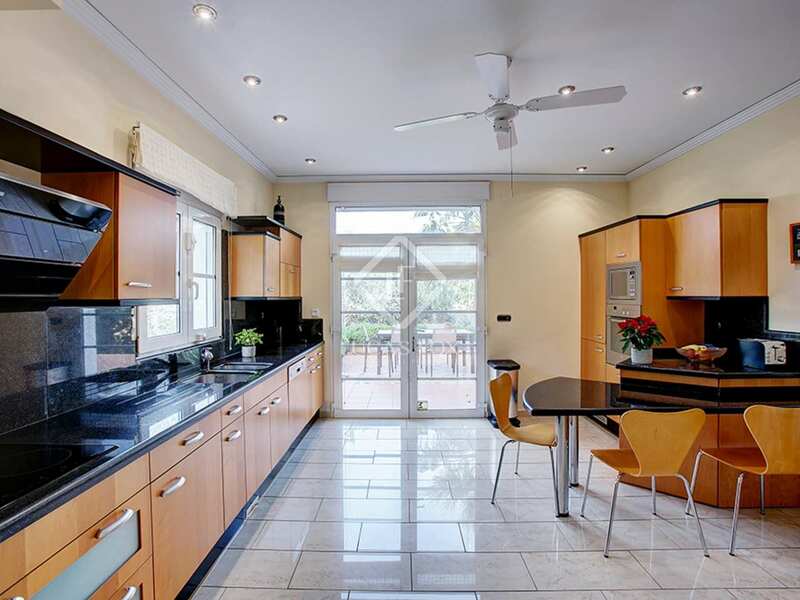 Villa in Denia, 15 minutes on foot from all services and 5 minutes from supermarkets.